The Age of Adz is freaky, phantasmagoric and far out (said in one's best David Bowie voice). Sufjan Stevens says it is built from experimentation and that "the pop songs themselves [are] kind of imposed over sequences of sound" but it’s so much more. While he calls it a real trial and error project that saw him "mutating sounds through effects pedals”, the result is complete, coherent and yet otherworldly. The track ‘Too Much’, for instance, is like Paul Simon in his pomp but with his acoustic guitar replaced by the soundtrack from Walt Disney’s Fantasia mixed by Aphex Twin. It’s visionary and fresh and audacious and you should listen to it. Prior to the release of this record Sufjan brought out an hour long EP called All Delighted People which wasn’t quite as well received. The Brooklyn-based singer songwriter is certainly not afraid to try things and put them out there. His attitude to music and to life is modern and forward thinking; his take on things, idiosyncratic and truly original. Even his Christian faith, which he takes some stick for, is indicative of a rebellious soul. Even in this he is somehow out of keeping with the herd. He’s neither a step ahead or behind everyone else. He is simply operating somewhere else entirely from them. 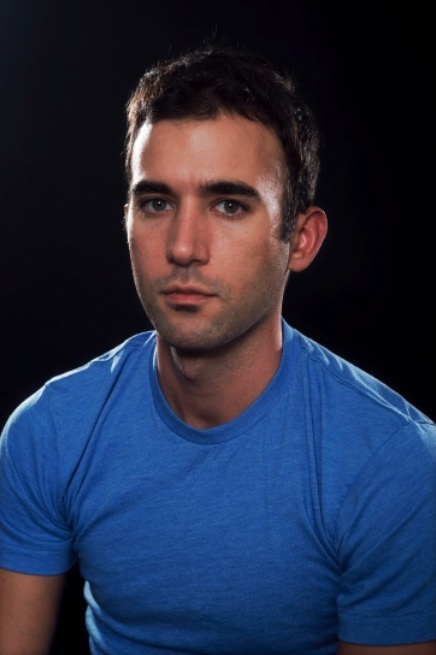 He might be making tracks that seem to last forever, but Sufjan Stevens has a punk heart. The Quietus speaks to him 9am Brooklyn time. He’s setting off for the practice studio, where he will work for ten to twelve hours with his band in an attempt to somehow eventually bring The Age Of Adz to a venue near you. Sufjan Stevens: It’s kind of an interpretation and right now we’re at the point where we feel like a covers band. At the moment it sounds like a parody. We’re trying to stick closely to the record but there’s a lot of improvisation and sound experimentation that happened in the process of making the record that’s really difficult to render in a live show. There are a lot of moments where we’re just going to have to make it up - there are a lot of synthesisers and samples and drum machines. Are you going to attempt to play 'Impossible Soul', the climax of The Age of Adz, weighing in at approximately 25 minutes? SS: Yeah, if we can. It’s been an Olympic event but we’ve been rehearsing it. I don’t know if that’s going to communicate or whether people are going to lose patience. Prog bands and Old Grey Whistle Test regulars made a virtue out of how long they could make their songs. Is everything shorter now because of how we’re fed information and how much information there is? SS: I think to an extent people are forced to reckon with a proliferation of information because of the internet and in terms of the way the media is. It does affect the public consciousness in a way, but I don’t think we’ve lost the capacity for patience and long-term investment. I still think we have the potential for that. It’s interesting because there’s kind of a weird irony to it all. In the past we’ve been limited by media; because records were limited to 40 minutes, the CD was limited to 70 or 80 minutes... an MP3 can last as long as you want it to last. So I think it’s ironic that attention spans are lower and songs become shorter when there’s so much more potential there. I was listening L’Histoire de Melody Nelson again yesterday, which is 28 minutes long, whereas the EP you recently put out, All Delighted People, weighs in at an hour. It’s interesting that chose to call it an EP, because it’s very long. SS: Well for me an EP is no longer about length of time but more about the embodiment. The general consensus about what an album is more about whether it’s complete or fully realised, and I feel an EP isn’t about being comprehensive or complete, it’s more like a short story. It’s sort of like a series of musical gestures, not necessarily related but they feel good together. In olden times there were things like chart restrictions, where if something was over a certain length it wouldn’t qualify, though I guess nobody really sits by a radio on a Sunday listening to the hit parade anymore. SS: Categories are outdated, they’re all antiquated. They’re not relevant to the age of the download. Didn’t you sell it for $5? That’s a very generous price. Was that because people might download it for free anyway? SS: Yeah there’s definitely an awareness of the value of music today. There isn’t any standard by which to measure work, the work of a song or the work of an album because everything is accessible now through filesharing. I’m not really too concerned about that but I do think that it’s fine to make concessions to the consumer, you know, and I don’t think an album has to be $10 or $15, it’s sort of been devalued and there’s no way of determining its worth anymore. I’d rather sell my records for cheaper if I could get away with it. And being so prolific it’s not a surprise that you embrace new technology. SS: I think it’s exciting because it kind of allows us to be less anxious about the album as an event and its considerable aesthetic and economic leverage. I think the album now can be much more casual. There are a lot more opportunities now to create more, produce more and release more and not be so hung up about the event of the album. Pirating, downloading, filesharing culture has deconstructed the album as an event. Though I spent my childhood buying LPs and invested time and money and devotion into them and it never did me any harm. Some of that has been lost. SS: There’s an accountability to an object if there’s an investment in it. There’s a correlation between accountability and value and investment and now there’s absolutely no investment, or time or money or even attention. So the song and the album has been disarmed, it no longer has the strength and economic power as before. But I don’t think that’s true of the experience, the listening experience. I still think the music is a force and that the consumer is moved and persuaded by music. It’s just not all caught up in a fixed economic relationship anymore. It demystifies the artist as well. The deification of the musician is becoming a relic of the past. SS: I think that’s a good thing. For too long the corporate structure controlled the industry and it created a weird dynamic between musicians and their audience where they were given celebrity status. I think now the focus is more on the music itself and musicians have been brought down from their idol status. It’s healthy. I’ve always invested more in the material than the musician and I believe regarding the distribution of my work that the music is no longer mine anyway, it’s an experience that I participate in. I contribute to it and obviously I’m producing it but the song itself is a third party and I believe it has greater force and power and strength and sustainability than I do. The song is going to live a lot longer than I will. If you look at the Live Aid generation they come across as pretty pompous. Musicians seem to have been humbled. SS: Which is true, though it’s not that true of hip hop. Ego is still the centre. Haha. Kings of Leon seem to be losing touch a bit. SS: Yeah. Well, it’s a religious experience and the people on stage are Gods. They can choose to act like that or they can choose not to. You produced a great little album by Welcome Wagon, the husband and wife team of Revered Thomas Vito Aiuto and his wife Monique. Any plans to do something similar? SS: I would love to. That was one of my proudest moments. I know it’s a funny, folksy, idiosyncratic little project but to me it was really exciting. We really hit it off together. Really fun people. You know they’re not ambitious, they’re really modest people. They’ve got a kid and he’s got a church, they have other ambitions. That was more just a little hobby project. They do some shows once in a while but it’s pretty ramshackle. Is it good to work with people who have faith? I guess it wouldn’t be as easy working with drug addled lunatics right? SS: Hahaha. [Pause] What’s the question? SS: Yeah. [Long pause] What?! What I’m asking is, is it easier to work with somebody in the same faith instead of somebody of a secular disposition? SS: Yeah, I mean who can know the mind of God and who can be his counselor? It’s not man’s decision, you know. If God is infinite and he’s in all of us and he created the world then I feel there is truth in every corner. There’s a kind of imprint of his life and his breath and his word and everything. You know, I’m no religious expert, and I don’t make any claims about the faith. All I can account for is myself and my own belief and that’s a pretty tall order just to take account of myself. I can’t make any claims about other religions. There’s no condemnation in Christ, that’s one of the fundamentals of Christianity. The Gospels are a good read, and then you get Paul ruining everything with his right wing attitudes. SS: Well Paul is a good reference for the character of church institutions, the setting down of cultural principles. Because God is the church and the church is an institution and the institution is culture; you have to reckon with all the trappings of culture and that’s kind of what Paul designed. You know, that was his role. You can’t read it without looking at it in the cultural context of the time and place, it’s inherent you know. SS: I mean it’s weird. What’s the basis of Christianity? It’s really a meal, it’s communion right? It’s the Eucharist. That’s it, it’s the sharing a meal with your neighbours and what is that meal? It’s the body and blood of Christ. Basically God offering himself up to you as nutrition. Haha, that’s pretty weird. It’s pretty weird if you think about that, that’s the basis of your faith. You know, God is supplying a kind of refreshment and food for a meal. Everything else is just accessories and it’s vital of course, baptism and marriage, and there’s always the sacraments and praying and the Holy Spirit and all this stuff but really fundamentally it’s just about a meal. I don’t know. It’s all a bit of a mystery to me. SS: It’s the most important thing to me really but it’s also really important I don’t get too caught up in it. There’s a necessity for casualness, you know, because I think fear and anxiety are not elements in faith. And I think doubt is important and questioning and all that. I think there’s been too much made from fear and condemnation to manipulate people. I think that’s an atrocity really.